Model Centrum Progres is based in Warsaw, Poland. ​No aircraft markings in history are more iconic than the distinctive shark's mouths applied to the noses of American Volunteer Group and 23rd Fighter Group P-40's and P-51's that fought in the skies over Asia during World War II. 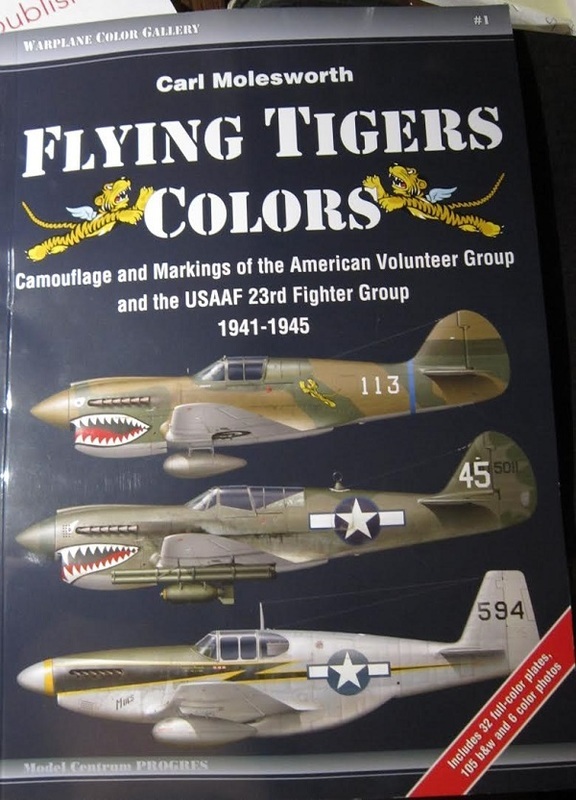 This book covers the camouflage and markings of the fighters they flew, includin the first detailed account of the progression of markings changes made by the 23rd FG throughout the war, as well as the combat history of these legendary units. The book is soft-cover of 64 pages in 8" x 11 1/2" page format. Copyright is 2016. It contains 105 rare black and white period photos, 6 rare color photos and 32 full color researched profile plates of artwork. The profile plates show different aircraft types employed by the units across different camouflage patterns, with very detailed captions and references. Over the past 35 years, the author has written more than a dozen books and numerous magazine articles about USAAF fighter operations during WWII. Armor Photo Gallery, Armor Color Gallery and Armor Photo History specials.